In a whimsical video made for the 4th of July, Sony Artisan Michael Britt brings together model/performer Danielle Gibson, a hula hoop, fire sticks, sparklers and red white & blue smoke effects. The video was shot with Sony α6300 and α7R II cameras and with the Sony FE 85mm f/1.4 GM and 55mm f/1.8 ZA lenses. Britt used a Retroflex rig made by Redrock Micro for the Sony α7R II. 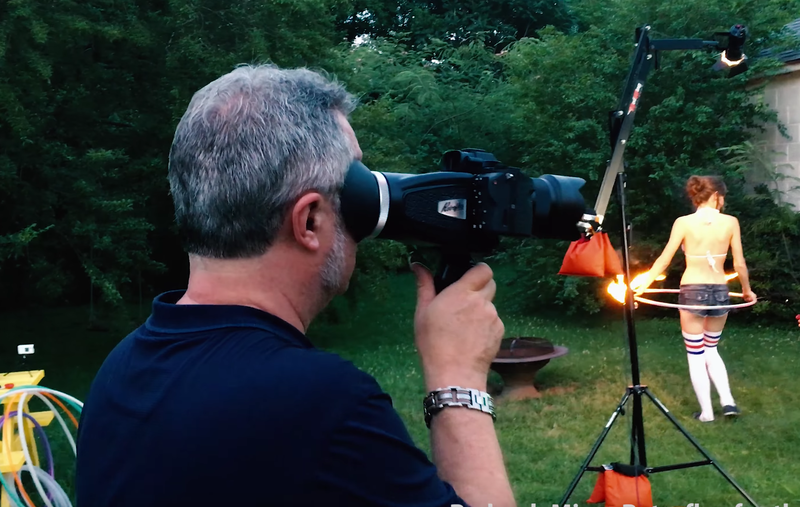 The rig lets you use the α7R II like an old-school Super 8 film camera.